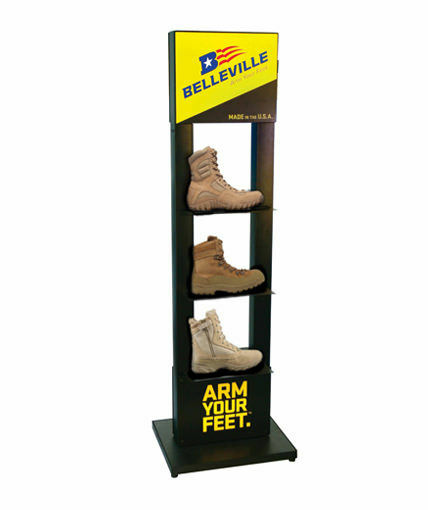 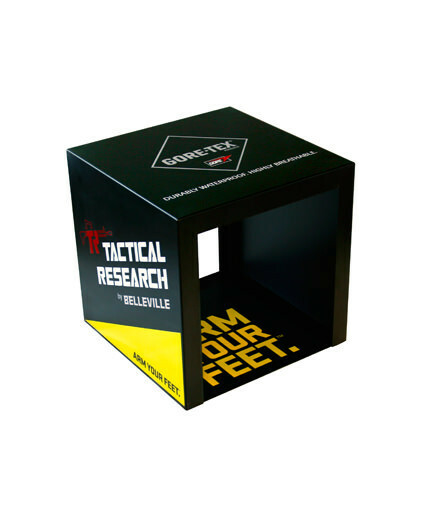 Two-sided floor display glorifier for Belleville’s line of leading combat, protective, and military boots. 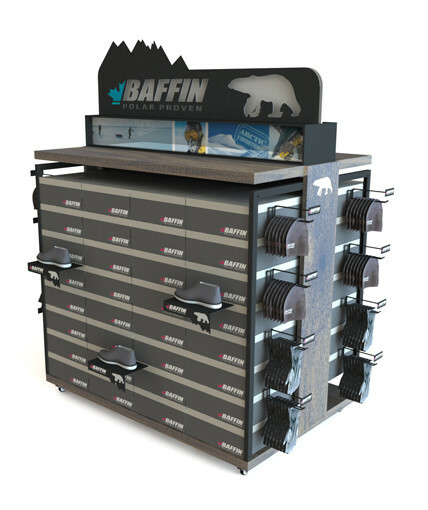 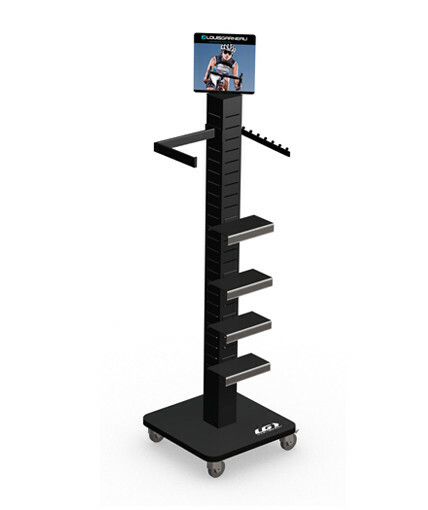 Features sheet metal frame and base, 6 shelves, and header/bottom graphics. 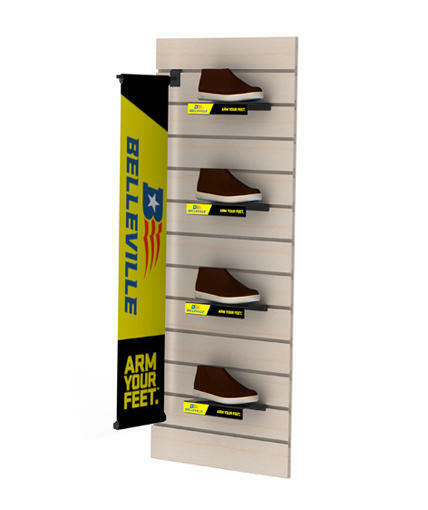 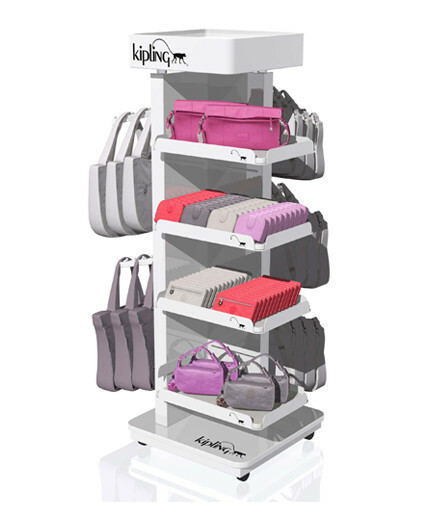 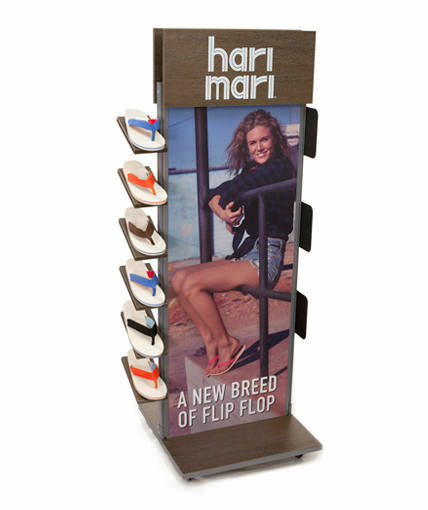 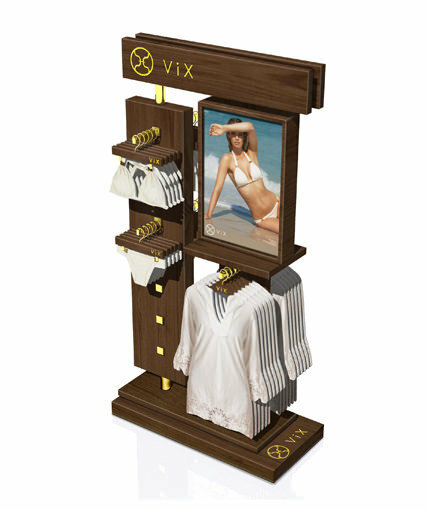 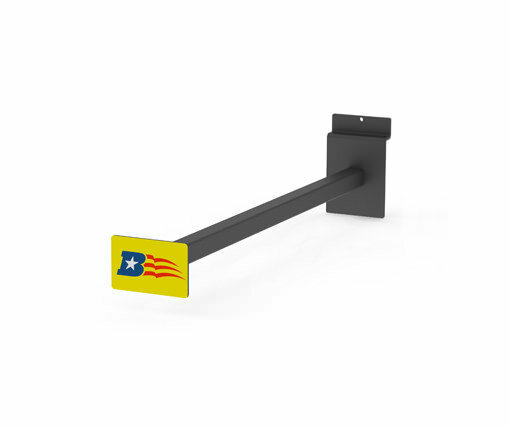 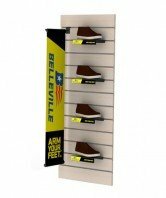 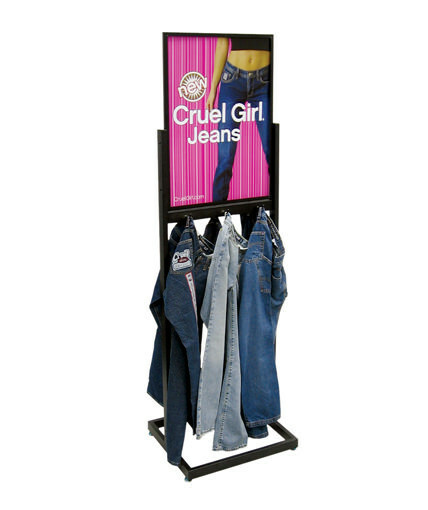 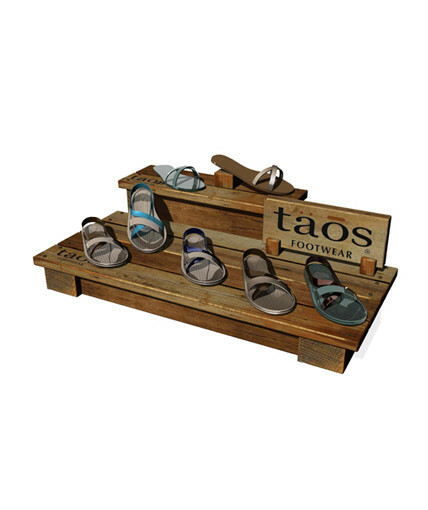 Category: Uncategorized Tags: 2-sided mobile floor display, point of purchase display, shoe display Brand: Belleville Boot.